The romantic surroundings of Celtic nature during Niamh’s childhood evoked reflections on the wonders of our existence. Though this echoed throughout her life, it wasn’t until 2000 Niamh became fully conscious of her spiritual path, at which point she embarked on a transformative journey. Involved in an artistic background at the time this significant transition became life changing, since she eventually directed all her creative intuitions toward a spiritual path. Niamh embarked on extensive travels around the world where she developed trainings and insights from spiritual teachers in Yoga, Tantra, Breath work, Buddhism and more. Teaching for ten years, Niamh is now a teacher of Hridaya Yoga & Meditation (IYF & RYT 500) and is also involved with teacher trainings in the UK, a contributing writer for Yoga Magazine as well as running her own workshops and retreats in Europe. Niamh found the magic in yoga to actively maintain fresh attitudes toward ones life making the most of each day. She has observed growth and change available to ALL; no matter how big or small a problem appears. 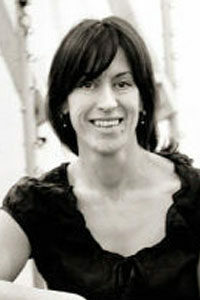 Her teachings are rooted in a detailed understanding of tendencies and relationship between the body and the mind. She creates a mindful and clear space for her students to develop their own understanding within their practice and ultimately their own wellbeing. Her classes are accessible to beginners yet with challenges for those more advanced, since she bridges a perfect balance between the physical and the spiritual. The core of Niamh’s teaching allow for spaciousness and stillness to arise with comfortable silences, looking no further than the cultivation and revelation of the true Self. Supportive and encouraging, Niamh has a calm presence. Supported by the beautiful teachings from Sahajananda, Niamh also expresses gratitude to Sivananda, Satyananda of Bihar, Agama and Aurolab (Body of Light) schools of yoga.